The choice of available pension plans can be overwhelming, particularly if your employer does not offer a single occupational scheme. However, if you are a company director or an executive partner, you may well find that none of these schemes suit you fully. This is likely to be as a result of the stringent investment limits on traditional occupational pensions – although they offer relatively high levels of security for your fund, these rules can also limit your fund’s earning power. Instead, you may wish to investigate Small Self-Administered Schemes, also known as SSASs. Essentially, a SSAS is an occupational pension scheme. However, it is different to ‘traditional’ occupational schemes in several key ways. Primarily, SSASs consist of fewer than 12 members. Furthermore, SSASs are available only to controlling directors of companies. However, the definition of ‘director’ is very broad in this sense; most members of a small family-run limited company, for example, would qualify for membership of an SSAS. On the other hand, these schemes have also been effectively used by working directors of larger companies. SSASs are more attractive than conventional occupational schemes for individuals in these circumstances for several reasons. First, they benefit from considerably less stringent investment controls and limitations. These are put in place to guard those with traditional occupational pensions from high-risk investments, but SSAS rules encourage individuals to invest in ventures of their choice. This means that, if you are a canny investor, you have the potential to guide your fund towards far higher returns than in a conventional scheme. Another key benefit of Small Self-Administered Schemes revolves around the schemes’ loan facility. Under this arrangement, fund holders can borrow as much as 50% of the total value of their fund in order to fund acquisitions for their own business. Many individuals use this sum to purchase business premises or equipment, which they then lease back to the business at a profit. This provides not only an income but also the potential for capital gain. Fund holders can take out this loan after the fund has been open for a minimum of two years. 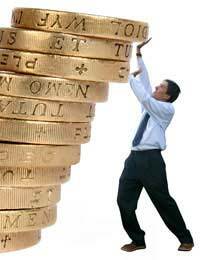 SSASs also benefit from considerable tax efficiency. There is no National Insurance liability for any contributions made by employers. This, in tandem with the fact that most SSAS funds are owned by company directors, means that employers make the majority of contributions. However, employees may also make contributions themselves, although these are limited to a total of 15% of the employee’s annual salary. Any growth within the fund is also essentially tax free. The following statement is included in your web page on SSAS...........(20/02/2012) "However, employees may also make contributions themselves, although these are limited to a total of 15% of the employee’s annual salary. Any growth within the fund is also essentially tax free." Did this restriction not go at A-Day?